Big Data technology stacks, Machine learning techniques. Enabling Big Data technologies for building management systems. BBDATA stands for Big Building Data and aims at developing a scalable cloud platform and tools for storing and processing smart building data. The project is realized in collaboration with the Smart Living Lab (SLL), a long term project which aims at developing the buildings of the future. The services are targeting data access, processing and analysis, using open, robust, standardized and secured big data technologies. Numerous sensors and actuators are located in the different buildings of the blueFACTORY site. These sensors collect measurements such as location, temperature, humidity, presence, CO2, electricity consumption, etc. Gateways are integrated enabling a seamless and standardized way to communicate with all sensors and actuators as if they would be simple Internet of Things devices. Thus, research teams and projects with eclectic protocols and in-house sensors can easily integrate with BBDATA. BBDATA provides a shared cloud platform running Big Data technologies, enabling a low cost solution and a short time-to-research. BBDATA services will also include machine learning capabilities for complex data processing such as discovery of correlations, event detection and modelling of non-linear phenomena. BBDATA will also offer information visualization tools for understanding and communicating of research results. 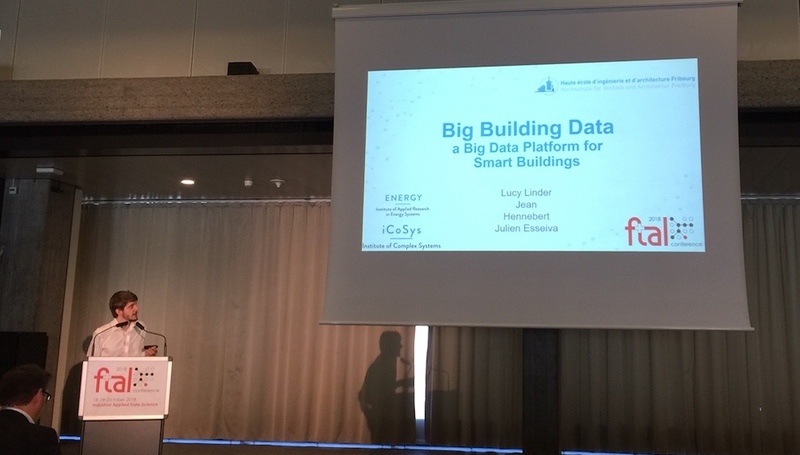 L. Linder, D. Vionnet, J. Bacher, and J. Hennebert, “Big Building Data – a Big Data Platform for Smart Buildings,” Energy Procedia, vol. 122, pp. 589-594, 2017.
abstract = "Abstract Future buildings will more and more rely on advanced Building Management Systems (BMS) connected to a variety of sensors, actuators and dedicated networks. Their objectives are to observe the state of rooms and apply automated rules to preserve or increase comfort while economizing energy. In this work, we advocate for the inclusion of a dedicated system for sensors data storage and processing, based on Big Data technologies. This choice enables new potentials in terms of data analytics and applications development, the most obvious one being the ability to scale up seamlessly from one smart building to several, in the direction of smart areas and smart cities. We report in this paper on our system architecture and on several challenges we met in its elaboration, attempting to meet requirements of scalability, data processing, flexibility, interoperability and privacy. We also describe current and future end-user services that our platform will support, including historical data retrieval, visualisation, processing and alarms. 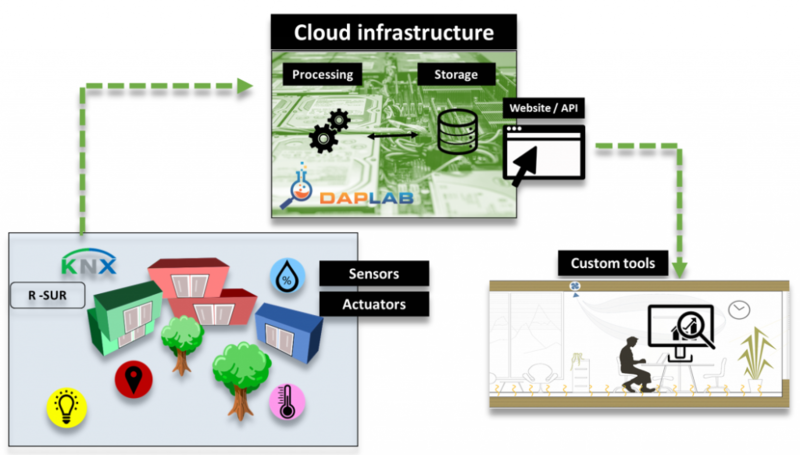 The platform, called BBData - Big Building Data, is currently in production at the Smart Living Lab of Fribourg and is offered to several research teams to ease their work, to foster the sharing of historical data and to avoid that each project develops its own data gathering and processing pipeline." L. Linder, J. Hennebert, and J. Esseiva, “BBDATA, a Big Data platform for Smart Buildings,” in FTAL conference on Industrial Applied Data Science, 2018, p. 38–39.